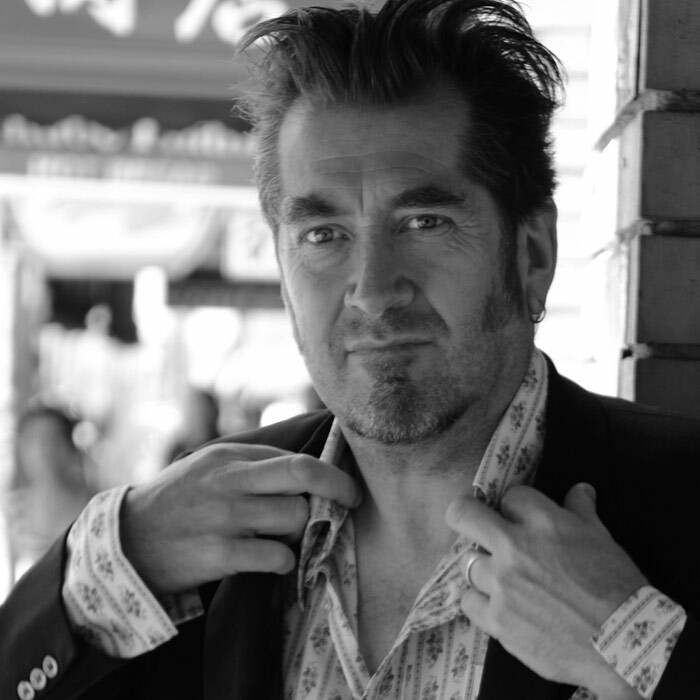 Mick Thomas is an Australian music legend! Mick was born in the Latrobe Valley and spent his childhood travelling Victoria with an itinerant SEC family. By his early twenties he was living in Melbourne playing in bands ultimately forming the Weddings, Parties Anything group which disbanded in 1998. He is currently defying gravity with Squeezebox Wally and the Roving Commission and when not lugging his sorry arse down the highway is a card carrying member of the Old Fathers of Northcote Society. Like most guitarists his age he is looking for a lighter amplifier.